China (MNN) – With 1.4 billion people, China is the most populated country in the world. This has made Bible accessibility and availability limited, if you live in rural China. Around four million Bibles are legally printed by Amity Press for Chinese Christians per year. This has made a deep impact and is inviting believers and unreached people to learn more about Christ. Yet, even four million Bibles in China is not enough. God’s Word is still rare and hard to receive in the nation. “The opportunity for someone to just walk into Barnes and Noble or walk into their local bookstore and buy a Bible is non-existent in China… Nowhere in China can you just buy a Bible,” Bibles for China’s Wendell Rovenstine says. 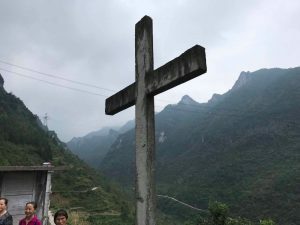 He shares that many come to Christ in China, but they don’t have access to God’s Word, making it harder to learn more about Him and grow in their relationship with Him. Rovenstine says that even purchasing a Bible online from inside China is difficult and often, not possible. This tends to be because of inaccessibility to the internet. Those who have been able to purchase Bibles online are few and a majority are in larger cities. In rural towns or villages, it’s virtually impossible to order from or even connect to the internet. There’s also a lack of legal Bibles from Government approved organizations. “There’s not a lot of organizations that are able to legally present Bibles in areas where they’re willing to express their need for a Bible,” Rovenstine says. 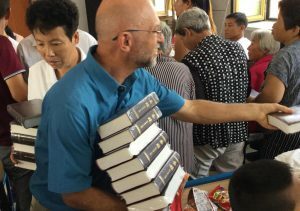 Bibles for China legally gives Bibles to believers and unreached people, but are still cautious. Rovenstine says the Chinese Government keeps track of who enters the country, where they’re staying, and other details. This has made it difficult for ministries smuggling Bibles into the country and can sometimes limit their reach and the number of Bibles brought in. Bibles for China needs people like you to help provide Bibles. He admits that, due to the sheer numbers, many people think providing so many Bibles in China is impossible. “I’ll be real honest, it’s impossible,” he says. Is God encouraging you to help make the impossible possible? 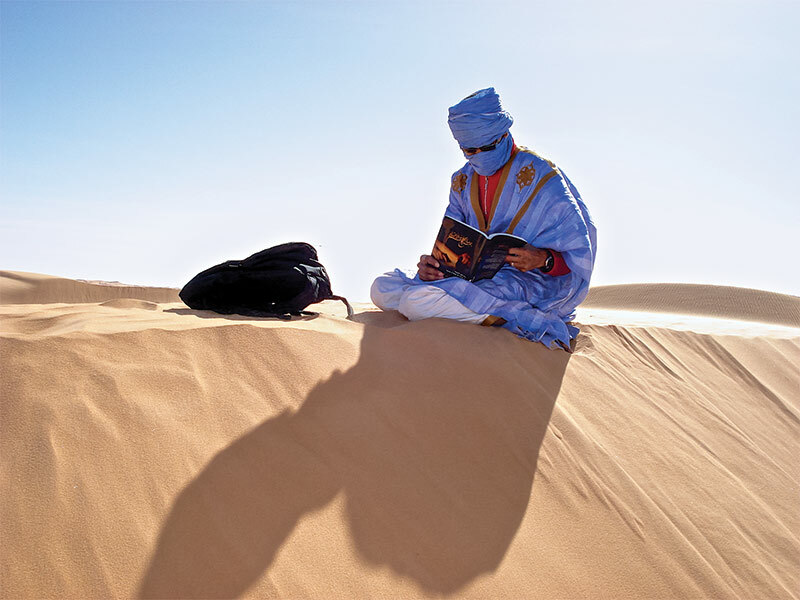 Get connected to Bibles for China’s trips and help give the Word of God to believers and unreached people. You can also help provide a Bible for just $5 or pray for God’s provision of Bibles and movement of His Holy Spirit in China. Provide access to Bibles in China. Ask God to bless and protect this ministry.